Proper temperature levels and humidity are very much critical for mold control and comfort of your home or office. It is actually not just the hot weather that could make you uncomfortable, but the humidity in your room or working area. A muggy and hot environment often results on excess humidity in your space, which can likely result to a very uncomfortable feeling. This is the reason why dehumidification is greatly beneficial for eliminating the uncomfortable feeling brought by the humid environment. Dehumidification can be done through the condensation of vapor or absorption or adsorption of water vapor. Window air conditioners or portable air conditioning units could be a great help in eliminating excess moisture in your space, but at times they are not enough for removing excess humidity in an indoor environment. This is the reason why an appliance for drying exists in the market to provide a solution in eliminating the uncomfortable excess moisture in your indoor environment. These units are a good remedy to the moisture problem in one’s home or office space. They generally help in restoring the healthy humidity level of a certain space or area. Dehumidification has many benefits, which are at times overlooked by many due to their lack of knowledge about this certain kind of unit. If you will notice, there are some instances wherein there are some condensations on windows that occur due to excess humidity. Imbalanced humidity in one’s space often results to wet stains on the ceiling and wall, recurrence of molds and musty scents. Humidity problems, when left unnoticed, often lead to structural damage, respiratory problem, allergic reactions and other health issues. To help avoid these cases, dehumidification is to be used. This type of appliance is designed to pull sticky, damp air into the unit, to cool it rapidly and condense moisture, to redistribute drier air back to the indoor environment with the use of its fan. There are various kind of units designed for home use, commercial use or industrial use. Choosing the right unit to remove excess humidity in your space usually depends on your exact needs. 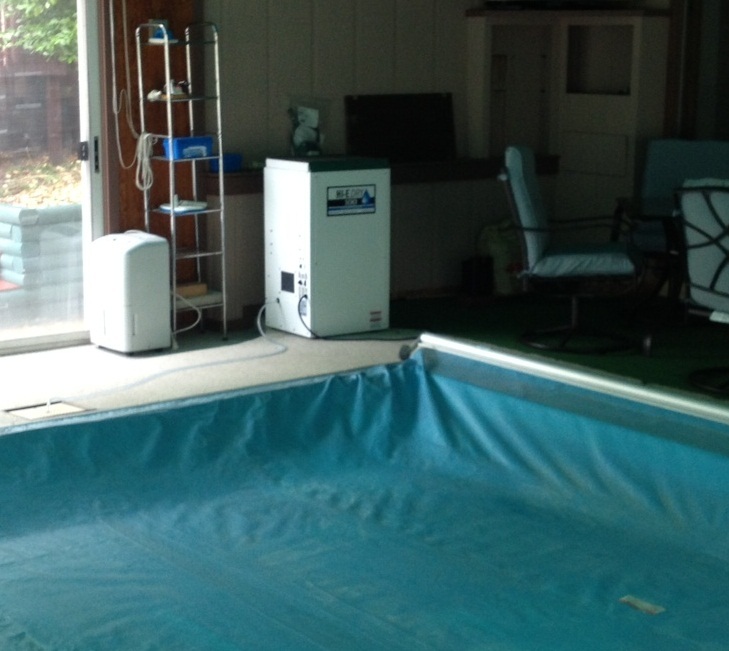 Dehumidifiers could be placed in areas where excess moisture is mostly prevalent. Some of these areas include crawl spaces, basements, bathrooms, bedrooms, indoor pool areas, warehouses and workshops. There are many models that vary on sizes, consumer needs, placement, cost and capacity. Thus, in choosing the right unit for your use, considering the capacity that would suit your space requirements is recommended. Aside from a single dehumidification unit, there are also some air conditioning units maybe enough to solve your problem depending on the situation. They are usually beneficial for home use, which main function is to provide a normal temperature while removing humidity in the air. One of the causes of allergy symptoms is the excess moisture in ones’ space. An indoor environment with too much moisture often leads to the creation of breeding ground for mildew, dust mites, mold and bacteria which could irritate allergies. In this case, the use of a dehumidifier is beneficial for eliminating humidity problems.